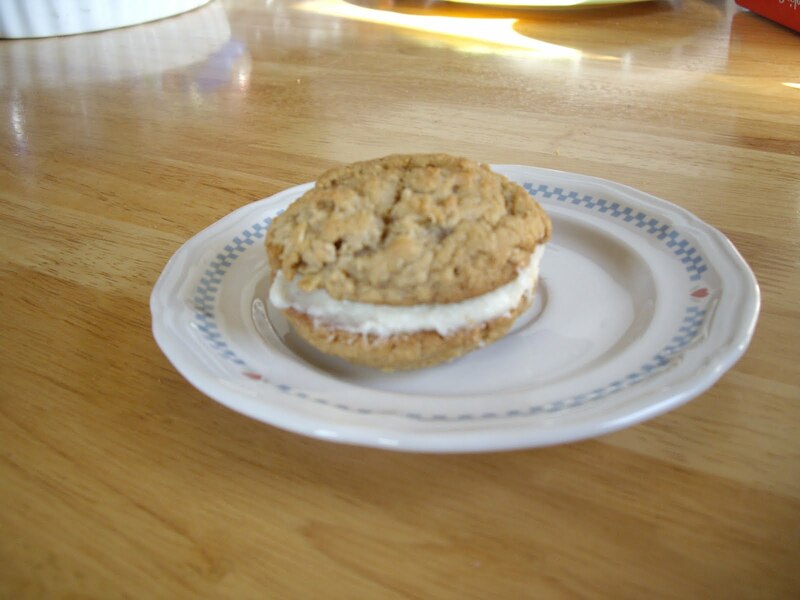 I never met a whoopie pie I didn’t like and the oatmeal variety is no exception. Just one will do you, as it is pretty filling. Grease a few cookie sheets. First you need to assemble the cookies. In a bowl, cream together the brown sugar, shortening, butter, salt,cinnamon, nutmeg, baking powder, baking soda, and vanilla extract. Beat in the eggs and milk until the batter is smooth. Stir in the flour and oatmeal. Drop the batter by tablespoon onto the greased cookie sheets. Make sure you get an even number. Bake for 8-10 minutes until set. Remove from oven and leave on the baking sheet for 5 minutes before putting on a baking rack to cool. While the cookies cool, make the filling. In a large bowl, beat the egg white, flour, milk, vanilla extract, shortening, and 1 tablespoon powdered sugar. When that is well blended, beat in the remaining 3/4 cup shortening. To assemble, spread cookie with filling and top with another cookie. You should end up with about 20 oatmeal whoopie pies. EXTREMELY GOOD AND VERY FILLING!